Affecting more than 10 million Americans, temporomandibular joint (TMJ) disorder condition can cause a range of painful symptoms including headaches and neck pain. Drs. Eugene Morris and Armando Gama offer TMJ therapy at their Missoula, MT, practice to correct the underlying causes of TMJ disorder and alleviate painful symptoms. Contact us today to set up an appointment. Temporomandibular joint disorder (TMD) is caused by inflammation of the joints that connect the jaw to the skull. These joints allow the jaw to move as you chew, speak, yawn, and make facial expressions. The most noticeable symptoms are pain or tenderness in the face, jaw joint, ear, neck, or shoulders, as well as difficulty opening or closing the mouth. 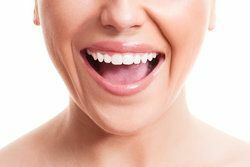 Patients regularly report hearing or feeling clicking, popping, or grating in the jaw joint when chewing or simply opening and closing the jaws. Your doctor might recommend medication, oral appliances, or dental work to address TMJ disorder. Prescription doses of anti-inflammatory drugs can often alleviate severe inflammation, while muscle relaxers can ease the muscles in your jaw. If your doctor believes stress is a factor, he may advise speaking to a psychiatrist about anti-anxiety medication or antidepressants. In other cases, oral devices may be recommended. These plastic mouthpieces fit over the upper and lower teeth to prevent the two from touching, which can reduce the effects of clenching or grinding. Your doctor may recommend wearing either night guards or splints, which are worn all the time. He can advise you on which option is more appropriate to your needs. If your bite is misaligned, correcting the problem with orthodontics or dental restorations may be recommended. Certain at-home treatments can also help patients manage their symptoms. Eating soft foods, practicing better posture, and various relaxation techniques often reduce severe pain or discomfort. If moderate to severe pain does not respond to more conservative, noninvasive treatment, your doctor may recommend surgery. Because the effects are permanent and result in some scarring, patients are strongly advised to ask for second and third opinions before deciding on surgery. 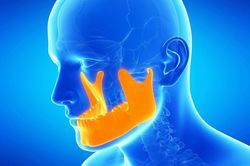 Arthrocentesis: This surgery is typically recommended to patients who have no major history of TMJ disorder, but whose jaws are regularly locked. After administering general anesthesia to minimize discomfort, the doctor inserts needles into the joint to flush it. If necessary, he can also clear out any damaged tissue, dislodge a stuck disc, or dislodge the joint. Because it is a minor procedure, doctors can perform it in-office. Arthroscopy: A minimally invasive procedure, arthroscopy helps doctors to achieve a highly detailed view of the joint and its tissues. A device with a light and camera called an arthroscope is connected to a video screen and, when inserted into a small incision, provides a highly detailed view. This allows the doctor to treat the affected areas more effectively. Patients enjoy a short recovery with few complications, though they may develop a small scar. Open-joint surgery: This procedure is only recommended if the bone tissue of the joint has become worn, if it is scarred or full of bone chips, or if tumors have developed around the area. After administering general anesthesia, your doctor will create an incision to access the joint. As a result, recovery is longer and scarring is more prominent. Drs. Morris and Gama understand that TMJ disorder can take a significant toll on your quality of life, and strive to provide prompt, attentive service to ease your treatment. If wish to learn more about treatments available for TMJ therapy, or want to schedule an appointment, contact us today.